The AISDE association promotes not only professional courses of high academic profile, but also a series of offers related to development and personal growth. We assume that by acquiring special techniques and behavioural models one can boost one’s ability to react and establish relations. AISDE believes in personal development for the realization of human and professional potential to the full. Successful achievement of our goals is often affected by subjective limitations. Our behaviour influences us, at times in a dramatic manner, and prevents us from reaching our goals. Taking into consideration that motivation plays an important role for personal and professional achievements, AISDE has developed a series of courses to raise motivation, to make people aware of their strengths, and to help achieve maximum results. AISDE offers these cutting-edge services in cooperation with some of the most qualified Italian educational entities. 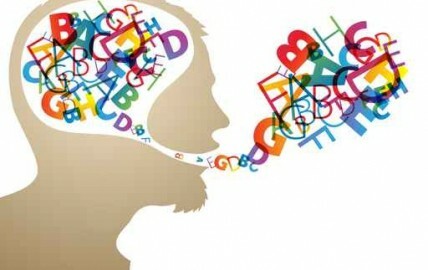 NLP is an attitude… characterized by the feeling of curiosity, adventure and the wish to master skills needed to understand what communication types influence others. This is a desire to find out things that are worth knowing. It means looking at one’s life as a rare opportunity to learn more. NLP is a methodology... based on the principle that any behaviour has its structure... and that this structure can be extrapolated, studied, taught and modified. The fundamental principle of this method is to know what will be useful and effective. NLP is a technology... that will allow people to arrange information and perception in a manner so as to achieve results that were considered impossible before. Neurolinguistic programming studies the subjective structure of experience and what can be derived from it. Its main conviction and promise was that effective thinking strategies can be identified, adopted and used by anybody. NLP arose as a result of long-term research conducted by Richard Bandler and John Grinder aimed at the search for behavioural and linguistic elements enabling successful people to show consistently positive results. As a result, a series of behavioural strategies and concrete, reproducible linguistic models were discovered. Visit the AISDE web-site about the NLP to find out how to use these tools to enhance your skills. Numbers, formulas, foreign languages, names and faces, classifications and inventories, specialized terms and everything one has to learn for professional studies and development will be easy, quick and accessible in the long run! The mind map technique developed by the British psychologist Tony Buzan is a flawless strategy for the effective and precise synthesis of any data, information or text based on the key features of our mind. It employs both the logical and the creative functions of your brain hemispheres. Creativity is a valuable ally rather than a nuisance to be restricted, as is often taught at school. We will learn to use it to achieve even better results. Learning to cope with stress and excitement in order to have a 100% focus on the aspects of the professional career. It will be useful both for a student to excel at the exams and for a professional to yield best results within a short period of time. With the help of this course, you will master mental attitudes one has to adopt in relation to one’s studies in order to achieve best results and to motivate oneself for all learning stages. Visit the AISDE partner’s web-site about EFFECTIVE LEARNING to find out how to make the most out of your efforts.